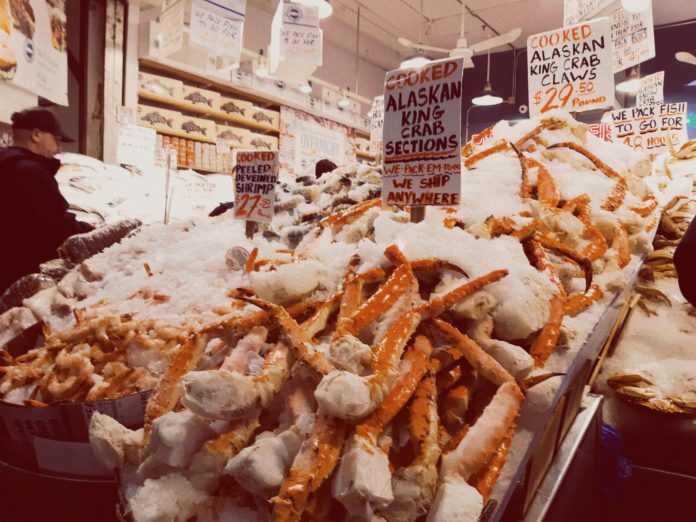 The fish and seafood market in the United States is growing at an incredible rate. The industry has almost doubled its revenue since 2013, reaching a significant $3 Billion in 2018. Business and employee growth have gone up to 4 percent and 2.7 percent, respectively. Seafood sector growth is due in part to consumer awareness. Exploring healthier food options, considering the environmental impact of the meat industry, and new dietary trends all play a role. As the balance of power shifts from large brands and chains to smaller, niche, sustainable fisheries, and fishing. Forty-nine percent of consumers say they have greater trust in smaller enterprises. Bottom line: consumers trust local fishermen more than large seafood companies. Given the numbers, it is an opportune time to operate a specialty or small fish shop or for independent grocers, restaurants etc. to source produce from those smaller, sustainable fisheries. While there is growth in the seafood market, and a greater consumer desire to source fish from smaller, accountable sources, local fish merchants face challenges. Building a broad, diverse, and sustainable customer base is one of them. To bridge the gap, stores can get online to market and build a brand. Online marketplaces such as Mercato allow merchants to offer shopping and delivery to shoppers who may not otherwise have been aware of a particular fish merchant. Marketplaces like Mercato also give businesses the ability to compete with giants like Amazon and Wholefoods. Establishing an online presence also allows for greater advertising opportunities, methods to drive people to a store, an avenue for communicating with customers, building goodwill within a community and much more. This chart (published by “Anything Research” in November 2018) demonstrates the consistent growth in market size for fish and seafood merchant wholesalers over the past five years. After a slight dip in 2014, the market recovered and rapidly grew the following four years from 2015-2018. Here are some fish merchant and brand success stories, with a look at their winning practices and philosophies. These businesses have been growing and thriving. The Lobster Place’s Seafood Market is based in Chelsea Market, New York City. The MacGregor Family founded the market in 1974 by bringing lobster from Maine and selling it to locals in the Big Apple. The Lobster Place’s WholeSale Market communicates with its consumers to process orders in a timely and efficient manner. Their number one priority is the quality of the food they are serving, preparing and distributing. This personalized level of care and the guarantee they make regarding the freshness of their fish is a key differentiator against chain stores or supermarket giants. The direct level of knowledge and investment in where and when their produce is sourced allows for greater quality and customer satisfaction. The MacGregor family has demonstrated decades of hard work and experience, which is in part why the quality fishmonger business is alive and well. Their specialties and customer favorites include caviar, crab, lobster, shellfish, and shrimp. After joining Mercato’s digital platform, the Lobster Place was able to expand its business offering to establish a delivery option that allows their fish to reach their customer’s table efficiently and in excellent, consistent condition. The Lobster Place features a Fin Fish program, with over 50 species of finfish. They source from local docks and dealers in addition to importers from Canada to provide the freshest fin fish possible leading to them selling over two tons of finfish every week. This focus on local sourcing, freshness, careful packaging and customer service has stood Lobster Place in good stead for continued growth. One of their restaurant clients, Rob Pessin Senior Purchasing Manager of Pier Sixty, gives the business a glowing endorsement. The Lobster Place’s tuna and swordfish program consists of purchasing, grading and butchering 20,000 lbs of yellowfin and bigeye tuna every month. The market sources locally harvested swordfish from the docks of Barnegat Light, New Jersey and Boston, Massachusetts. The business also has a live lobster program that makes them the first company in New York to bring live lobster distribution since 1974. Over 9,000 lbs of live lobster are held in a Bronx tank facility to ensure customer order fulfillment. The market has specialty products and frozen seafood including shrimp, octopus, squid, lobster meat and smoked fish. They have their shrimp imported from all around the world from India to Central America. Their smoked salmon comes from their partnership with Catsmo and Samaki to provide truly special and fresh salmon, trout and whitefish.  The Todaro Brother’s were established in New York City in 1917 and remains a family business, celebrating over 100 years in operation. The Todaro family prides itself in being able to provide numerous options of food prepared on-site daily. They sell to in-store customers and offer home-made food catering throughout the five boroughs. One of their fish specialties is Gravlax, also known as smoked salmon: a New York classic. As a specialty seafood market, they offer various types of smoked salmon including Eastern Nova, Norwegian, Atlantic Maine and Scottish. At inception, the Todaro Brothers started with three brothers, who eventually gave the business to their sons, Mario and Luciano. Luciano ultimately took over and made the store into the specialty well-known store it is today. With a little help from Mercato, people from all over NY are able to experience the delicacies the brothers have to offer, which ranges from fresh seafood to prepared foods to sauces, herbs, and even squid ink. The Zanti Family knows what good lobster is. After all, they’ve been in the business since 1898. Guiseppe Zanti Sr. ventured to America from a small fishing village in Italy, where he spent several decades fishing and finding the best fishing shops. His grandsons inherited his fishing talent and finally opened for business in 1950 with The Yankee Lobster Company, selling wholesale lobsters on Boston’s waterfront. Besides a heavy focus on the selling of lobster, the company sells crab and other shellfish in a wholesale market. They offer prepared foods as well with menu items ranging from stuffed clams, lobster mac & cheese to sauteed mussels. As the seafood industry grows, so does the desire for easier shopping. Whether its lobster, smoked salmon, or another New York City favorite—incorporating an online component to your business is a beneficial move for the 2019 year. Online marketplaces like Mercato, can help your business swim farther than ever before.